All aboard the bubbles bus! It’s time to drink in the beautiful Gaspareau Valley, literally. 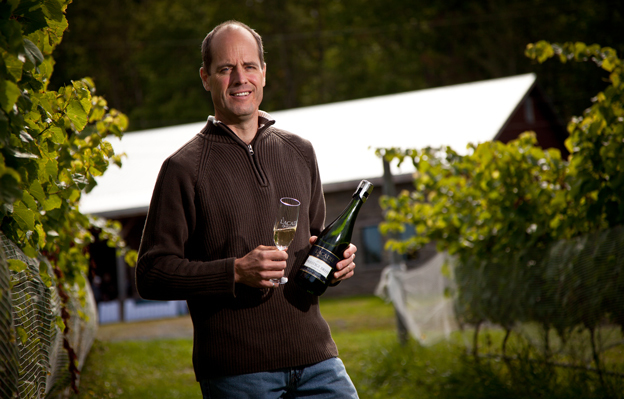 This tour will feature three tastings per vineyard at two of the region’s finest purveyors of traditional method sparkling wines–L’Acadie Vineyards and Benjamin Bridge. All rounded out by a little taste of food from Front and Central’s Chef Dave Smart. 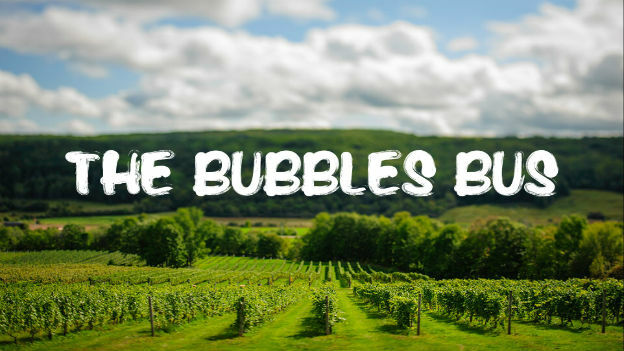 This family winery was founded 10 years ago by internationally experienced winemaker Bruce Ewert and released the province’s first traditional method sparkling wines and planted the first certified organic vineyard. They have earned numerous awards and accolades including silver for Prestige Brut at the 2011 Effervescents du Monde competition of the world’s best sparkling wines in France. Prestige Brut Estate is grown on unique rocky well drained soil with vibrant microflora contributing enhanced minerality with 4-5 years of bottle tirage on yeast lees for harmonious brioche accents. 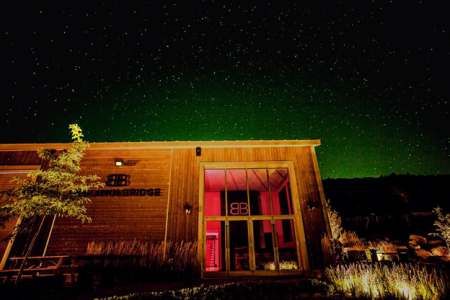 From bright crisp sparklers to pioneering appassimento reds, their wines have been game changers for the Nova Scotia wine industry bringing national and international interest to our growing emerging region. Benjamin Bridge is Nova Scotia’s ultra premium sparkling wine house located in the heart of the Gaspereau Valley on the Bay of Fundy, where the cool climate bears an uncanny affinity with the Champagne region of France. Our experienced winemakers work in collaboration with international experts to produce world-class Méthode Classique sparkling wines and limited edition luxury wines. Our innovative sparkling wines display the hallmarks of classic prestige cuvées from Champagne, but with a Nova Scotia signature. “They are, without question, the best sparkling wines I have tasted in Canada,” says Tony Aspler, Canada’s most renowned wine authority. Our collection of hand crafted fine wines, including perennial sell-out Nova 7, together with our sparkling wine program, have helped raise the profile of Nova Scotia terroir and its winemaking in Canada and internationally. Passions are like vegetables: they start with a single seed, and over time, if nourished properly, they grow. The seed of Dave Smart’s culinary passion was planted at a young age, but it took years for that seed to sprout. Dave started his career as an engineer. Even during this twenty year tenure, however, he was lured by the kitchen and by one ingredient in particular: garlic. He and two friends would gather on Tuesday nights for “Garlic Night” to cook and entertain. Inspired by the potential he found in food, it wasn’t long before Dave kicked his collaborators out the kitchen to invent and compose his own meals. 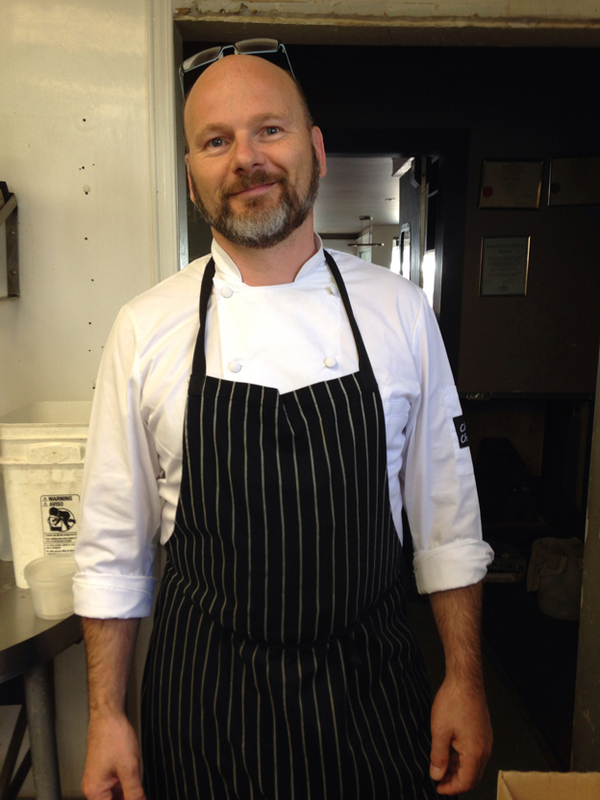 So the chef in Dave Smart developed, eventually leading to his placement at Le Cordon Bleu Culinary Arts Institute in Ottawa. After his education and internships with prominent chefs in Ottawa, Dave found his way back to his home province of Nova Scotia and to the town of Wolfville, where he opened his own restaurant, Front & Central. A casual restaurant with exquisite food, the restaurant’s aim is to nourish the mind, belly and soul.